Yin Myo Su, born and raised at Inle Lake, Myanmar, and often referred to as the “Lady of the Lake,” is the managing director of the Inle Princess Group, and founder of the Inle Heritage Foundation. Yin Myo Su’s remarkable combination of passions including women’s empowerment, economic development, heritage and environmental preservation, art, culture and citizen engagement establishes her as a modern Myanmar Renaissance woman. With over two decades of experience in the hospitality industry, she has become a strong advocate for sustainable and responsible development practices that brings both social and economic benefit to local communities and insures the preservation of the creative, but fragile, cultural heritage of Inle Lake and Shan State. 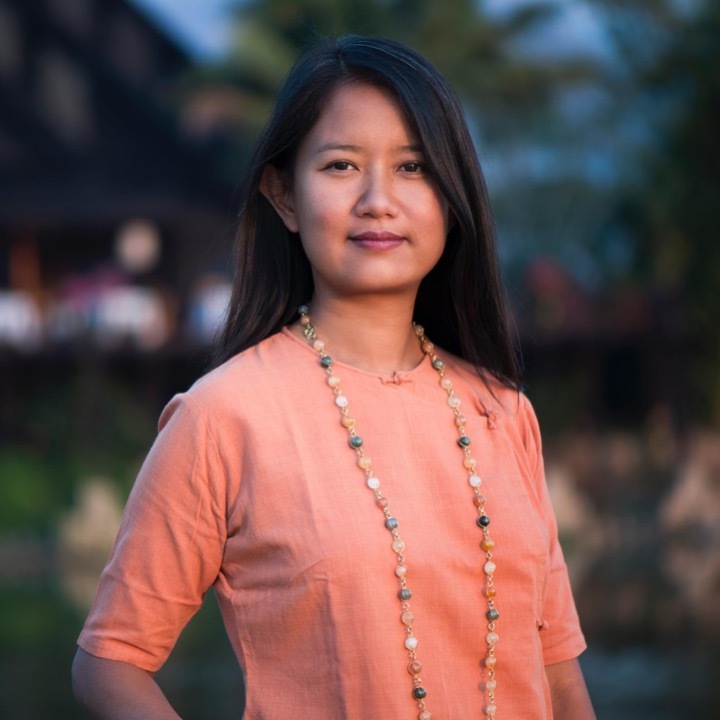 As an environmental advocate, she has taken a leading role in reintroducing the Burmese Cat back to Myanmar and, at Inle Heritage, houses a private lake-side aquarium to draw attention to the unique and at-risk marine life nearby. To pass on her knowledge, Yin Myo Su is Chairperson of the Inle Heritage Hospitality Vocational Training Center that equips aspiring hospitality workers from Shan State develop the necessary technical and human service skills to fully participate in the tourism and trade potential of emerging Shan State. Yin Myo Su, is an active public speaker on subjects dear to her heart and recipient of several local and international awards in recognition of her work in hospitality, heritage preservation, women’s empowerment and leadership.